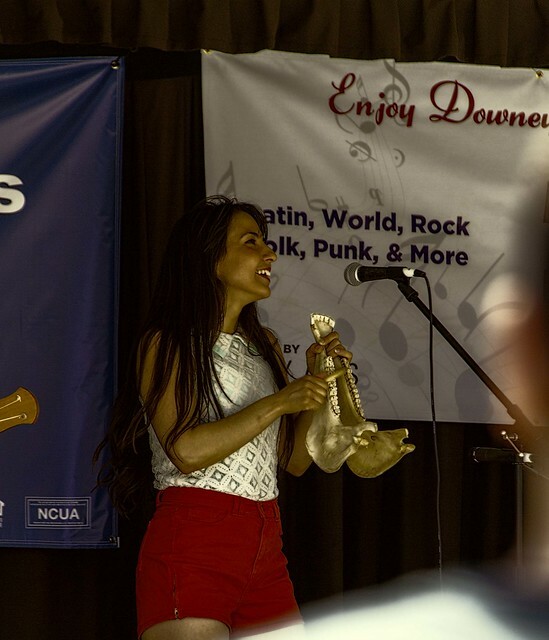 One of the fun things about Las Cafeteras was their exuberant approach to the music. It was entertaining to watch them perform. As we moved on, we found a group playing in the Downey First Baptist Chapel. 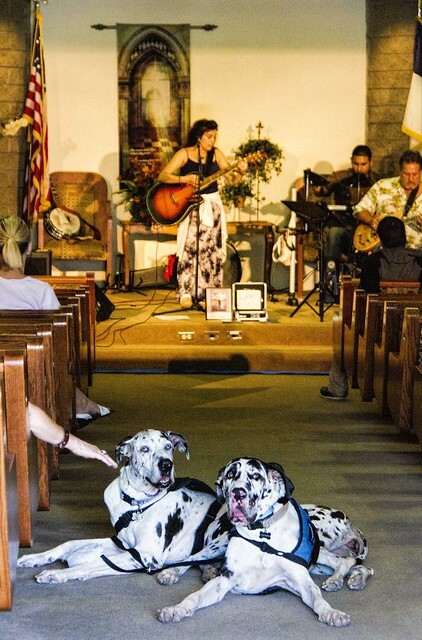 Evidently, it was music to soothe these big dogs, who were enjoying the afternoon entertainment. As always, love your coverage of "All things Downey!"